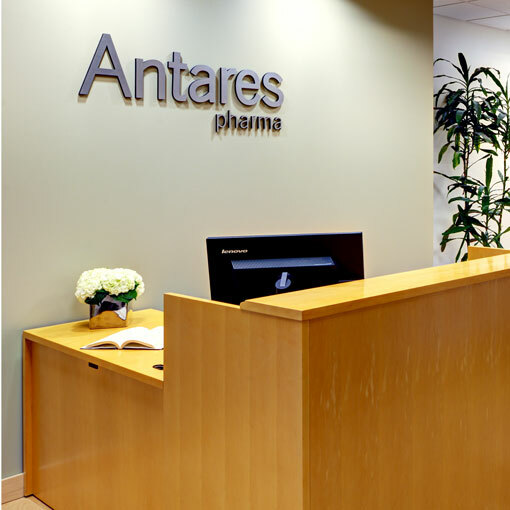 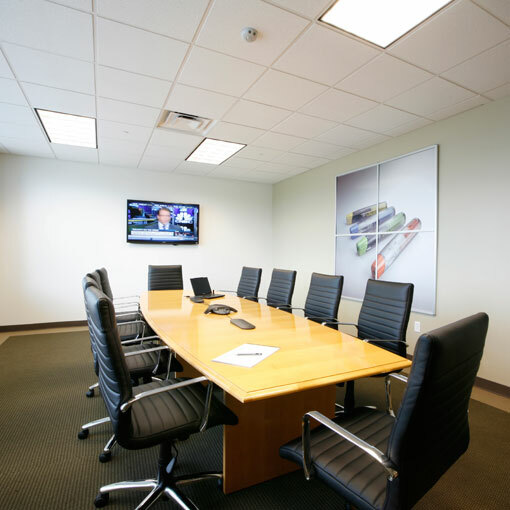 A simple, modern aesthetic was chosen for the offices of Antares, a pharmaceutical company. 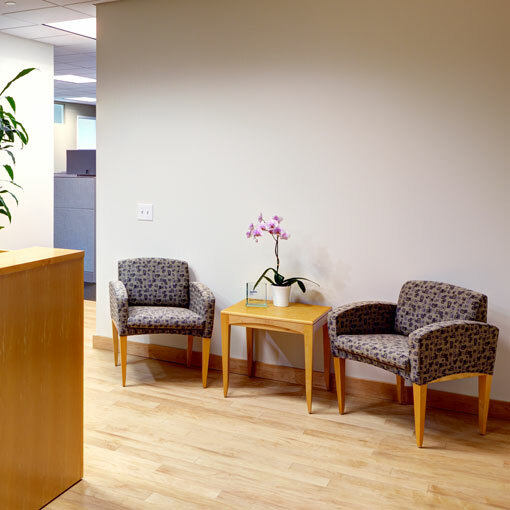 JZA+D used neutral tones to align with the corporate branding, and created balance through the use of warm wood accents in the furniture and cabinets. 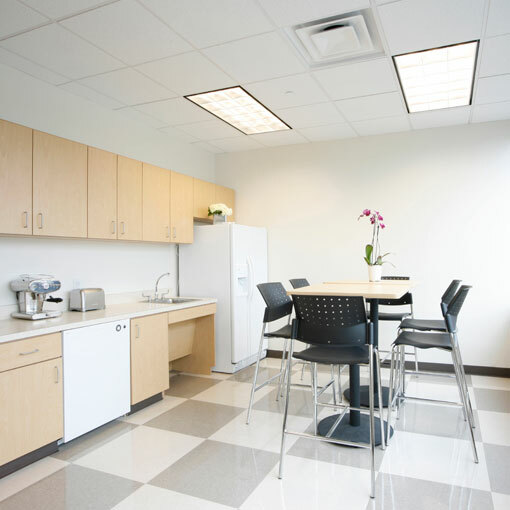 Along with the cheerful checkerboard patterned flooring in the pantry, the space becomes bright and welcoming. 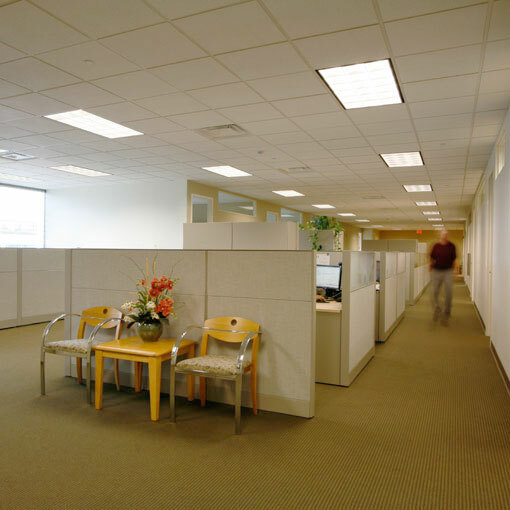 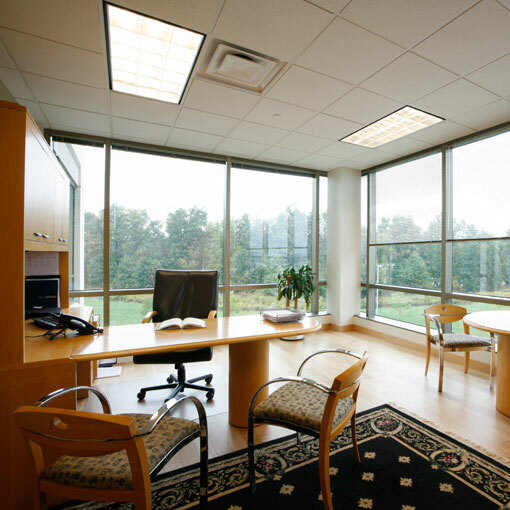 In addition, clerestory windows on the walls of the private offices allow sunlight to reach the interior workspace without sacrificing privacy.